The River Dart is an intricate waterway punctuated with chocolate box villages, hidden creeks, waterside eateries (including a vineyard! ), and an abundance of wildlife both in the water and on the riverbank. It comes as no surprise to us that the River Dart is regarded as one of the most enjoyable rivers in the country, and regardless of where you choose to navigate, will find both adults and children alike enjoying her magic. 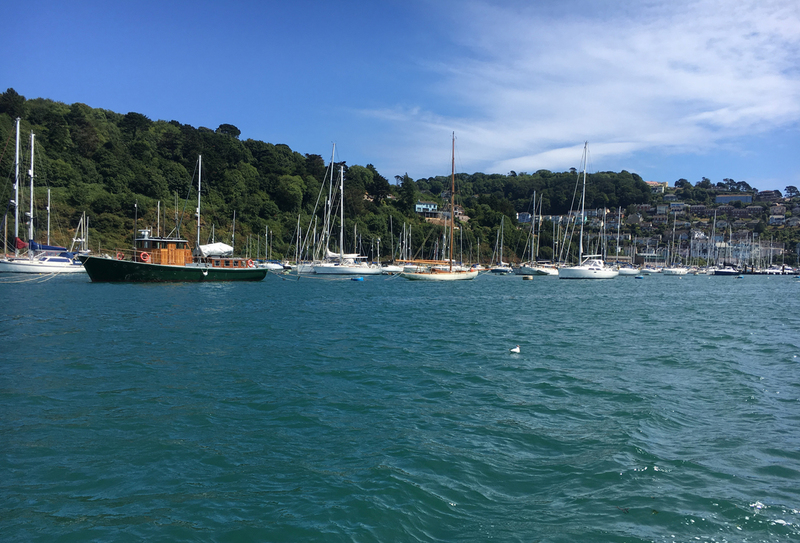 Exploring the River Dart from the water is one of our favourite things to do, especially during the summer months when you can spend long, lazy days meandering up river by boat, returning as the sun sets. 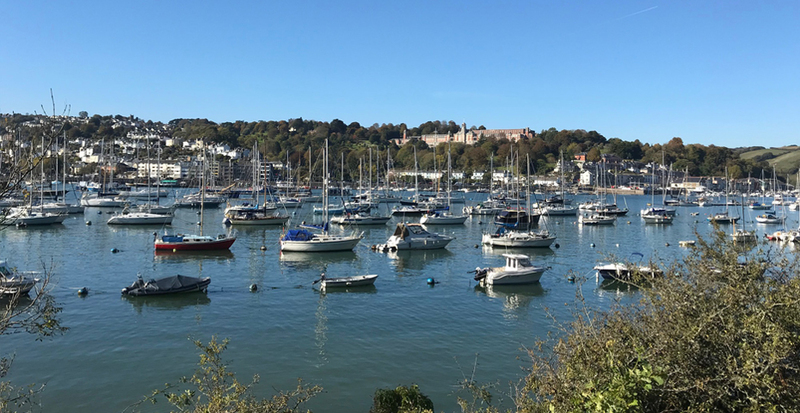 Whether you have your own boat or are hiring the necessary equipment, a fabulous place to start your exploration is Dartmouth Castle, at the mouth of the River Dart. This historic landmark is even more impressive from the water where you can see the true scale of the ruins and take some incredible photographs. On the opposite side, see the ruins of Kingswear Castle. Though not on the same scale as Dartmouth’s, this is another great spectacle to take in from the water. Keep a look out and you may see the delight of the steam train as it travels between Dartmouth and Kingswear. Make your way up the river weaving through the boats between Dartmouth and Kingswear; the two sides of the water have very individual features, the colourful houses of Kingswear versus the history of Dartmouth. The Britannia Royal Naval College is an impressive building that is truly exceptional to look at from the river – creating a focal point for the town of Dartmouth. Reputed as one of the most charming riverside villages in the region, Dittisham oozes with character, and is a popular spot for families looking to congregate and enjoy sweeping views across the River. 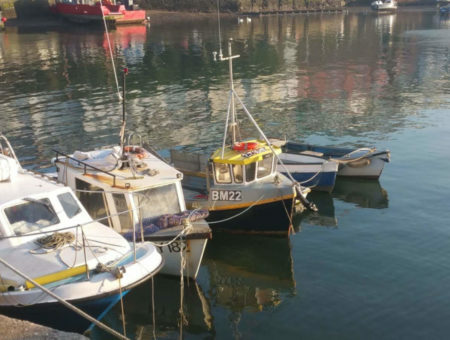 Not only will you find two fabulous eateries (The Ferry Boat Inn and Anchorstone Cafe), but there is also a small play park, public conveniences and a large pontoon from which children can enjoy a spot of crabbing. Depending on how long you have, or indeed how long you have left with the tides, take your boat up the river to Stoke Gabriel for an ice cream. 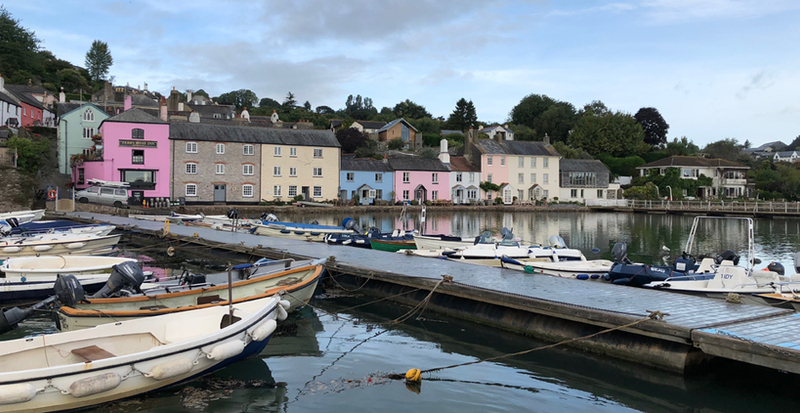 The historic village of Stoke Gabriel enjoys sweeping views of the creek, making it yet another picture perfect pitstop for a drink, food, or to absorb the calm, peaceful quayside. 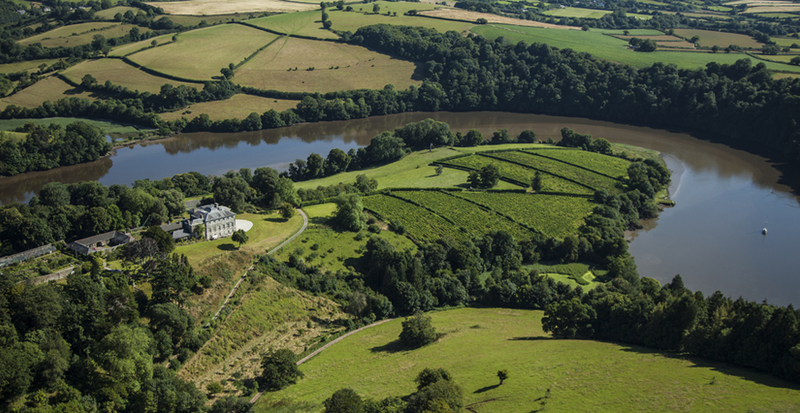 Situated on the riverside you will find the stunning 500 acre estate of Sharpham, where amongst other activities, award winning wines and cheeses are produced. There is a mooring possible for smaller boats and kayaks, so try and stop for a vineyard tour, a glass of wine, or perhaps make a purchase from the vineyard shop to take away with you, perfect for a picnic. Sharpham Vineyard is open year-round, but opening times do vary, so always check their website before visiting. The small hamlet of Tuckenhay sits on the south bank of Bow Creek, the estuary of the Harbourne River which flows into the River Dart. Two hundred years ago this was a bustling industrial hamlet with barges and tall-masted ships coming up the quay, whereas now, the style of life is somewhat different, and enjoys a tranquil and secluded existence. Hidden on the banks of Bow Creek is the award winning pub, The Maltsters Arms, serving sumptuous breakfast, lunch and dinner. A hive of activity, expect to find music, boats mooring, kayaks launching and children crabbing from the pontoon. As always, be sure to watch the tides, Bow Creek dries out from the pub quay to the entrance of the River Dart, and the pontoon rises and falls with the tide. If you are keen for a more lengthy motor, then head up river to Totnes. Mooring is available, perfect for if you want to spend a little time exploring the popular market town, which is jam packed with independent shops, cafes, restaurants, pubs, wine bars and takeaways. Dartmouth Boat Hire have boats available by the hour, and for the day. Whilst no license in required to take a boat out, reassurance is needed that the driver has appropriate experience. With a selection of boats, from a cabin cruiser to a Dell Quay Dory and large open boat you are sure to find something to suit your adventure. Dittisham Boats operate from the pontoon in the village of Dittisham and offer a range of self-drive motor boats. 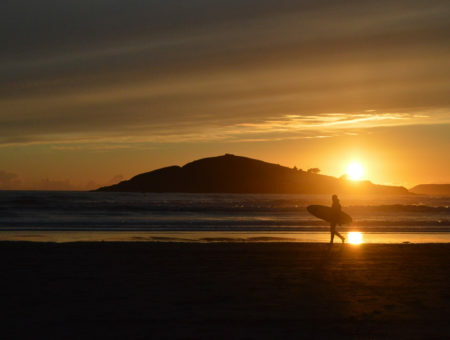 They also offer sailing boats, (including a Drascombe Lugger and for the more experienced a 21ft day sailer), kayaks and Stand up Paddle Boards. 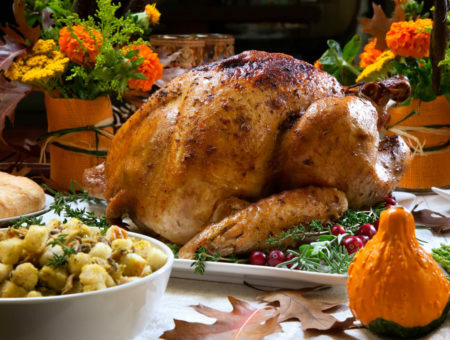 Hire is by the the hour, half day, full day, weekend or full week. At Coast & Country Cottages we have a fabulous selection of properties situated along (or just a stone’s throw!) 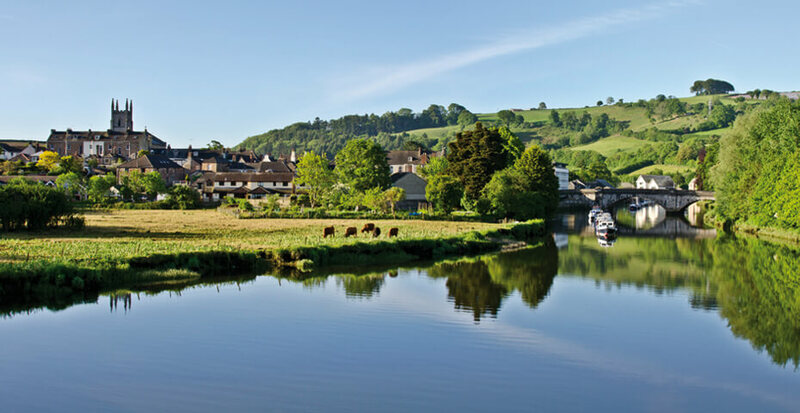 from the River Dart, from quintessential fisherman cottages located on the quayside, to stylish waterside apartments boasting panoramic riverside views. Visit our website to view our full collection of South Devon properties, or give our locally based team a call and we will be happy to help you find the perfect property – you will be exploring the River Dart from the water in no time at all! Book your South Devon break now!